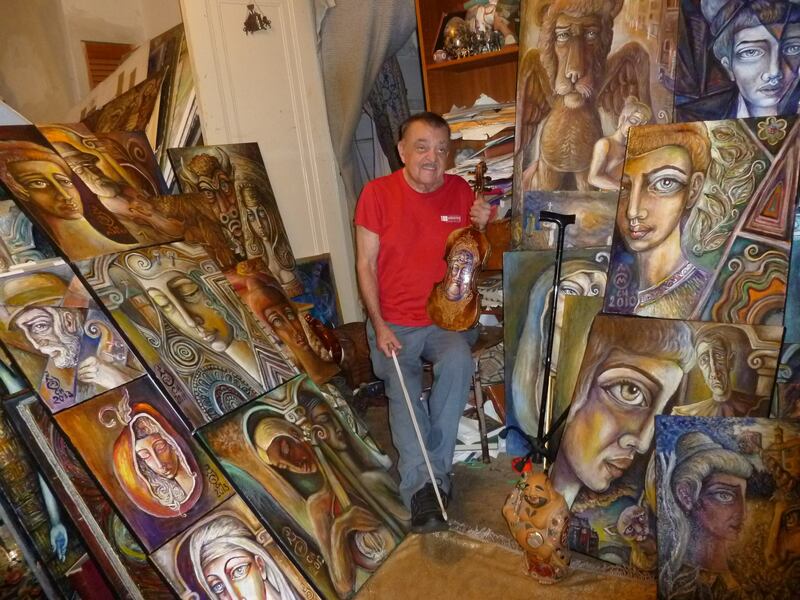 Jovan with his original paintings. Jovan Mihailović, Sam Hyson, and Lucia Thomas perform as a violin trio, playing traditional melodies from various regions of Serbia and neighboring countries. Jovan – a multitalented artist born in 1934 in Belgrade, Serbia – has been teaching Sam and Lucia the art of traditional Serbian violin.